The only total lunar eclipse of 2019 is set to happen Sunday night into Monday. The moon will travel into Earth's shadow early next week. Overnight from Sunday into Monday, North Americans will have a prime view of a total lunar eclipse. Jonathan Sabin of the astronomy club, The Local Group of Deep Sky Observers, based in Sarasota-Bradenton says unlike a solar eclipse, the lunar event will last a while. Jonathan Sabin, president of the Local Group of Deep Sky Observers based in Sarasota-Bradenton, created a graphic depicting the anatomy of a lunar eclipse. "With the solar eclipse, the maximum technical amount of time is about 7 minutes. Most solar eclipses are more along the lines of two to three minutes,” he said. “This lunar eclipse, we have one hour and four minutes of totality. You have plenty of time to enjoy the eclipse." A total lunar eclipse occurs when the moon and the sun are on exact opposite sides of Earth. As the moon revolves around the earth, the moon passes directly through Earth’s shadow. 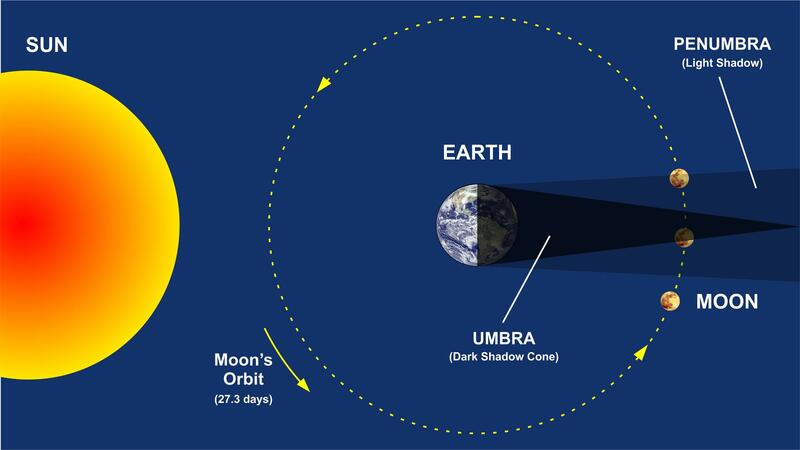 When the lunar eclipse begins, the bright moon dims as it enters the outer part of Earth's shadow, called the penumbra. The deep tint of a full lunar eclipse is visible once the moon enters the deepest part of Earth's shadow, or umbra. During the celestial event, the full moon will slowly darken and then glow crimson and orange. The reason for this phenomenon is the Earth’s atmosphere. As sunlight passes through it, the small molecules that make up our atmosphere scatter and refract. "It's basically like you're looking at all of the sunsets on earth at the same time,” said Sabin. “That reddish light gets cast upon the moon." The Local Group of Deep Sky Observers was formed by amateur astronomers in Sarasota-Bradenton in the summer of 1983. Unlike a total solar eclipse, there is no need to wear protective glasses during a lunar event. The Local Group of Deep Sky Observers will be on hand at a lunar eclipse watch party at Robinson Preserve in Bradenton Sunday night. 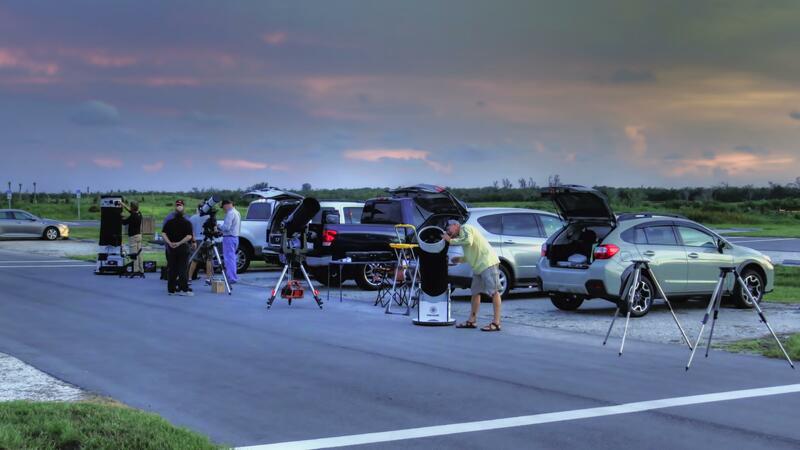 The group has about 100 members and hosts frequent astronomy events in Sarasota and Manatee counties. The partial phase of the lunar eclipse begins at 9:36 pm and totality happens at 11:41 pm. The next full lunar eclipse that could be visible in the U.S won’t occur again until 2021. The usual summer rainstorms held off for a day, so several thousand people crowding into Tampa's Museum of Science and Industry's parking lot for the once-in-a-generation solar eclipse didn't walk away empty-handed. The country is eagerly anticipating Monday's total solar eclipse. And local school districts are taking different approaches to the historic event.